Stay Dry Fabric and Generous Fit, You'll Love Wearing This Jersey! The Big Man Brando Jersey, rugged, good looking and a great performer. 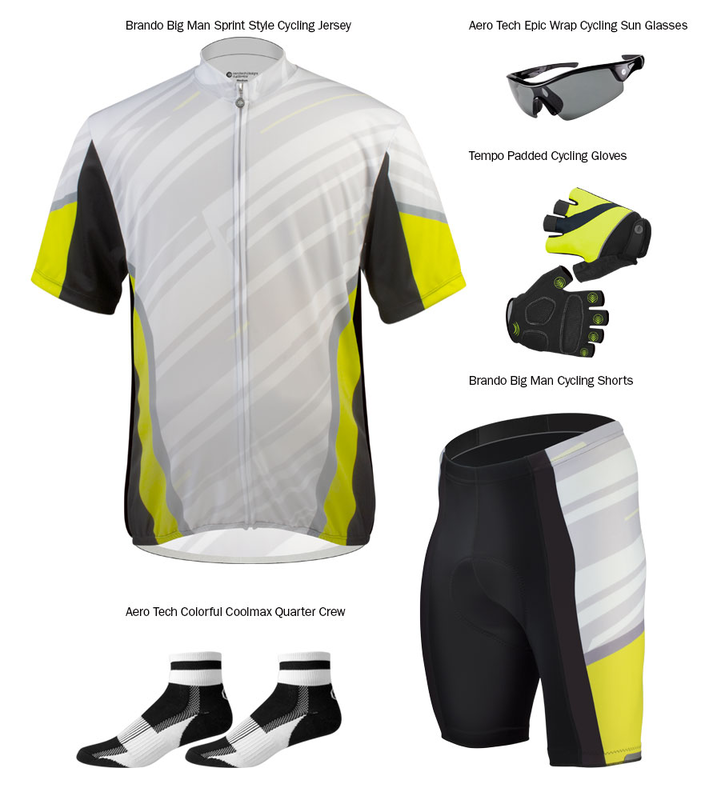 Stay cool and confident and feel great in this beautifully crafted and designed Big Man's Bicycling Jersey. Irresistibly comfortable fabric and fit. You will reach for it every time you ride! The Big Man Brando Jersey, like one of the greatest American stars, performs spectacularly. Be an unforgettable force of nature in the rugged Brando Big Man Jersey as you pound the pedals or glide smoothly through every ride. This jersey stars features like a full length, smooth, not too snug zipper, elastic hem to stay put, easy reach pockets, sleek, good looks in an amazing dry, comfortable, wicking fabric. Enjoy the Handsome, Tailored Design of this high performance Big Man Brando Bicycling Jersey. I've worn this jersey probably two dozen times - it wicks well, fits true to size and has held up well. Fits well with out making you feel suffocated. I wore it for the first time last Saturday on a metric century and it worked great. I dropped mustered on it and when I washed it everything came out as if it never happened. Overall a nice jersey - a little snug on the size which surprised me for a 3X but the 4 X is likely too big for me. Good looking, nice fitting shirt. Wore it for the first time on a 32-mile ride and it was everything Aero Tech said it would be. Highly recommend. Size was right on. I now have three of this line of jerseys and love them. Using the sizing guide on the website,I am a 5XL, and the fit is excellent. Delivery of all my orders to Australia is very quick e.g. order Monday lunchtime Ozzie time, delivered on Thursday afternoon. I recommend both the company and the clothing without hesitation.